Community Supported Agriculture (CSA) is a model of farming that allows people to buy their food directly from a local farmer. A distinguishing feature is that people who wish to buy from a CSA farm make an up-front commitment to the farmer by pre-purchasing food, which helps the farmer secure early season capital. What is a CSA Share? A CSA Share is the farm’s produce for which a person has made an advance payment. Essentially, the Share is the food someone picks up from their CSA farm each week. What is a CSA Member? 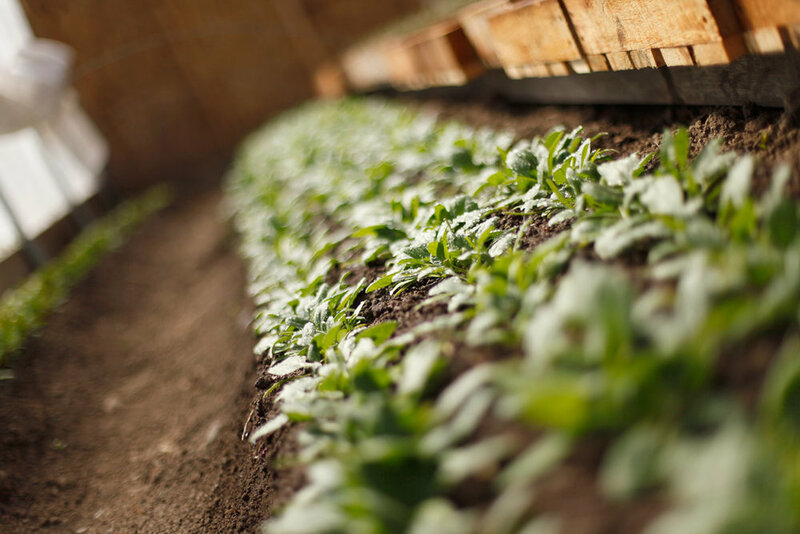 In accepting a person’s up-front commitment to buy a CSA Share, the farmer in turn makes a commitment to them: to provide them with the best quality of food – fresh, nutritious and grown with care. This mutual commitment is the reason why a person who buys a CSA Share is considered to be more than just a customer. They become a part of the farm, which is why they are called Members. If you can’t make it for a Pickup, you can gift your Share to a friend (who would come to the farm in your place) or you can call us to box and hold your Share for you to pick up the following Monday after 3pm. When you sign up to become a Member, you choose the number and types of Shares you would like. Please note that Egg Shares and are only available for CSA Members who purchase Vegetable Shares. Vegetable Share - The Vegetable Share is seasonal by nature, made up of produce that can be grown unprotected in the field or using unheated greenhouses, row cover and other low input season-extension technologies. Throughout the year, the produce is fresh, having been harvested that week or drawn from root cellars and coolers. Egg Share – Our hens are pastured, grazing and picking through the fields, in addition to receiving local and/or organic grains to produce highly nutritious and delicious free-range eggs. In the winter, the hens move into a greenhouse to stay warm and be in the sun. Fresh eggs are available all year. We offer installment plans for CSA Share payments, but there is a discount for Shares paid in full as well as other discounts available. We also offer a sliding scale on CSA Share prices, discussed on an individual basis. Vegetable Shares are priced per adult and per child. They start at $1,560/year for a single adult, which is $130 per month. This is around $4 per day for free choice vegetables. There is a discount for each additional Adult Share per household. Children’s Shares are priced according to age. Children 12 years and older are counted as adults. Children under 5 are free. Egg Shares are sold on a credit system. To buy eggs, you make a down payment to establish a credit. You then draw against that credit whenever you take eggs during CSA Pickup. Eggs are priced at $6/Dozen and $10/Two-dozen. Discounts are also available for early sign-ups and referring a CSA Member! To discuss CSA Share options and prices, Contact Tim Biello. On-Farm Events – Throughout the year, we host on-farm events for CSA Members only, including winter sleigh rides, wagon rides to harvest pumpkins, fall camping on the farm and more. U-Pick Harvests – Certain crops, such as strawberries, snap peas and cherry tomatoes are available for CSA Members to pick at no charge, as an addition to what comes with their Share. Access to the Farm – The farm is open to CSA Members Tuesday - Saturday sunrise to sunset. Members can come to the farm to picnic in a field or take a walk in the woods. Volunteer opportunities are also available for Members and/or their families. Access to Products from Other Local Farms – We often collaborate with our neighbors and farm friends to offer additional products for sale to CSA Members, such as local honey, maple syrup, meats, yarn, and more. 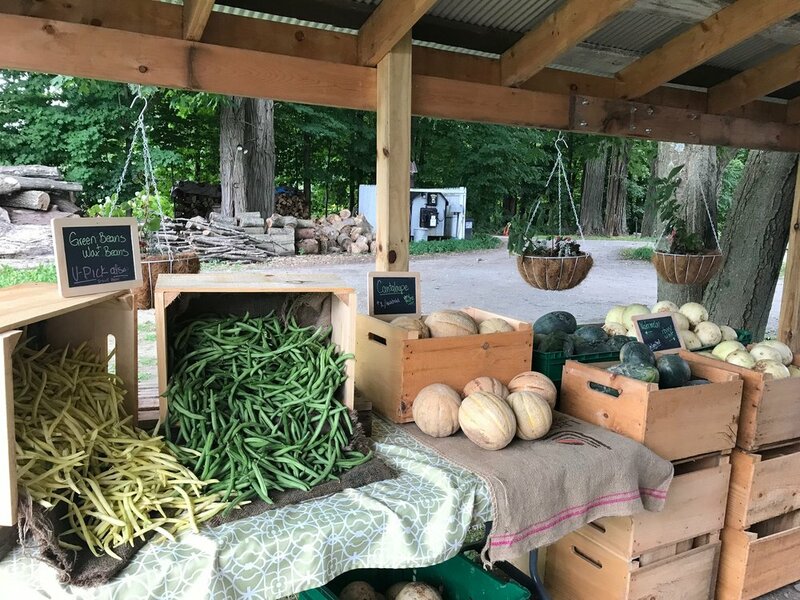 Being a Part of the Community – As a CSA Member, you become an important part of this farm and community, connecting with others who share an affinity for wholesome foods and sustainable agriculture. Weekly Pickups, on-farm events and regular emails and social media updates help to keep us all in touch. Is this CSA right for you? We would love for you to become a CSA member, supporting the farm and enjoying the bountiful food as well as the farm itself. However, we know that CSA membership is not for everyone. It's a great fit for some folks and not such a great fit for others. We want every Member to be happy with their decision to join our CSA. If you are interested in becoming a Member, we will meet with you to review CSA details and to address any questions you have. When you are ready to sign up, we can help you select the number and types of Shares that work best for you.